June 2 | New Shaved Snow Spot Meet and Sweets Grand Opens - BOGO FREE Entire Menu - EAT WITH HOP! 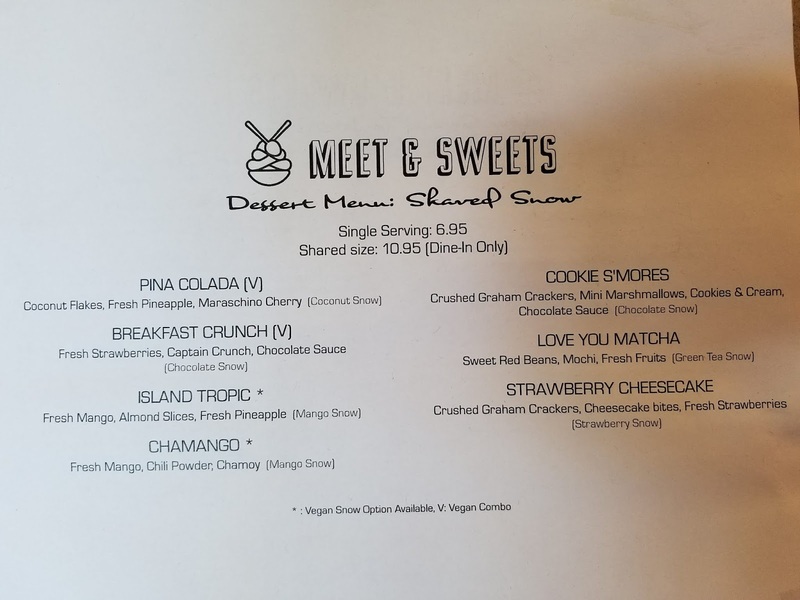 Meet and Sweets is bringing back the shaved snow trend y'all! But this time, with extra Instagram-friendly effects! DRY ICE! Not gonna lie, the snow is actually delicious, not overly sweet, and refreshing. It's a light dessert that won't make you feel guilty. The dessert shop also sells house-made drinks that are worth trying as well. 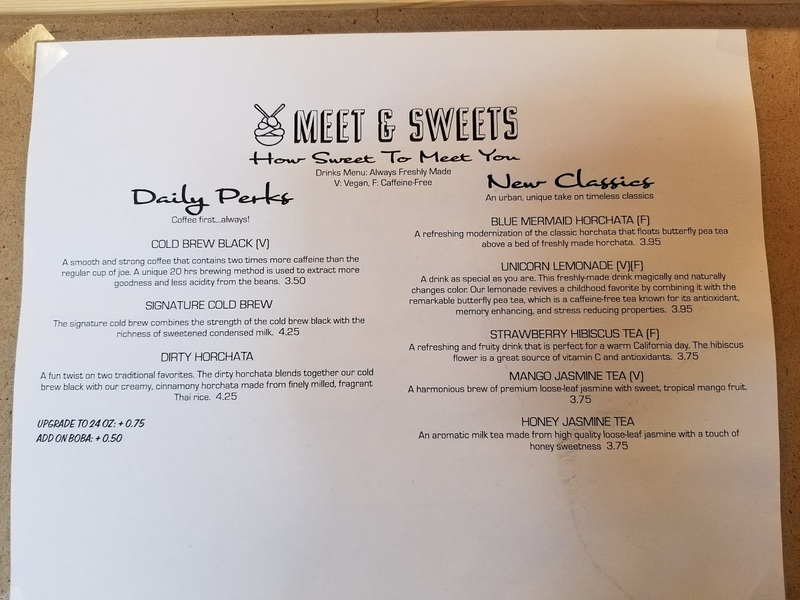 I love the mermaid latte (horchata + blueberry pea tea) and look forward to trying their horchata coffee and other drinks too! Check out the dry ice! Whoa! It creates a cool foggy and smokey effect and also keeps your shaved snow cold for a longer time! I got the S'mores shaved snow. I wish the marshmallows were toasted but that would probably melt the snow faster. Overall, it was very yummy. The shaved snow is on the "flaky" side rather than "ribbony" / thick side but I am sure they are still working out the kinks! This is the MERMAID LATTE and has quickly became a fave of mine that I like to recommend. Since it's made in-house with actual ingredients rather than powder, it tastes like legit horchata but not overly sweet because of the butterfly pea tea mix in it. And... here is the snow menu! They even have matcha flavor and vegan options too! Here is the drink menu y'all! I recommend the Mermaid Latte which is horchata with butterfly pea tea! Tastes so cinnamon-y and is housemade!